Munnar Holidays - Enjoy the magic of the Munnar, soak in the immaculate weather along with some lovely vistas. One of the finest Kerala hill station located in the Western Ghats of Kerala. Enroute admire marvel at the gushing waters of the Cheeyappara Waterfalls. 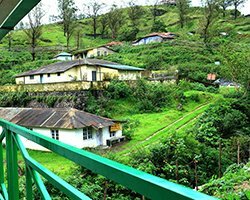 With rolling hillside, lush green tea plantations and spice plantation, this popular destination is a major draw for tourist across India and other countries. Holiday to Munnar is a 3-day tour, visit Eravikulam National Park, a home to the endangered mountain goat - Nilgiri Tahr. Get spellbound at the Mattupetty Dam, and shout out each other's name at the Echo Point, Anamudi Peak and Top Station is indeed a treat to the eyes and the tranquility provides a soothing effect to the overworked brains. Munnar Short Trip. Welcome to God s Own Country, on arrival our representative will greet you at Kochi Airport. Later proceed to Munnar a small town in the Western Ghats is famous for its picture book towns, sprawling tea gardens, mist clad hills, sanctuaries and above all the climate is one of the most sought after tourist destination in India today. Hillstation of Kerala Munnar is the gateway of Hills in South India.On the way from Kochi to Munnar you can also watch the lovely waterfalls of Cheeyappara & Valara and later Reach & check in at the hotel and relax for a while amidst the comforts of your room. Explore the rest of the day along with the nature. Overnight stay at the Hotel/Resort. After breakfast later visit to Eravikulam National Park of Munnar where one can view the famous nilagiri Thar (National Park is Closed Park Closed from 01 Feb to 31 March due to breeding season), Later proceed to Mattupetty & Kundala Dam were you can enjoy the boating through the reservoir flanked with tea garden of Munnar on one side and never ending Grass land on the other. The Echo point of Munnar is famous for its echo phenomenon is a famous halting point for the tourists, Shooting Point and Tea Museum. Evening Return to the resort and overnight stay. After breakfast proceed to Cochin Airport with ever lasting memories of a holiday you will never forgets. Your Munnar short trip ends. For 2-3 pax A/c small sedan vehicle for all surface transfers & sightseeing for the above mentioned places.